After joining the Farset community as corporate members Intel have been heroes and left some of their new Galileo boards in the space for us to play with. 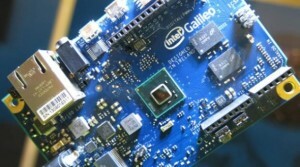 We’ve been bashing our heads together with the Intel guys/gals and we’ve decided in celebration of Farset Labs being a whole 2 years old in April we’ll be hosting a 24 hour hackathon on Friday 4th April, theming it around their new Galileo boards. 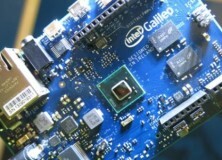 The Galileo development board, is a Linux based microcontroller that’s compatible with Arduino software and shields and uses the new Quark X1000 SoC processor (400MHz, 32-bit, Pentium-class, single- core and thread) that Intel announced at the IDF 2013 keynote. Galileo is just 10cm x 7cm (although ports protrude a bit beyond that), and there are four screw holes for secure mounting. Ports include 10/100 Ethernet, USB client/host ports, RS-232 UART and 3.5mm jack, mini PCIe slot (with USB 2.0 host support); other features include 8MB Legacy SPI Flash for firmware storage, 512KB embedded SRAM, 256MB DRAM, 11KB EEPROM programmed via the EEPROM library, and support for an extra 32GB of storage using a microSD card. Read more about the Galileo Here. Farset Labs in our recently refurbished event space. To fuel the hacking we’ll be providing breakfast, lunch, dinner and snacks. Each team taking part in the Galileo section of the event is given a board to develop on (which each team can fight over to take home!). Then everyone gets access to the Lab’s toy box of peripherals, components, prototyping equipment and tools to build something inspiring / cool / insane / useful. 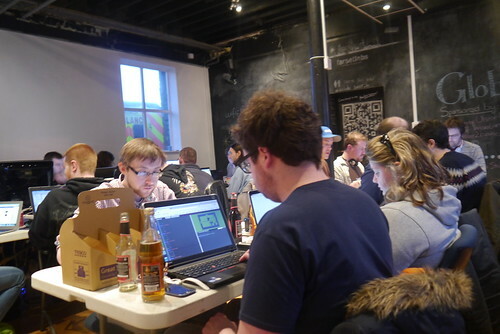 At the end of the event each team will be able to present the result of their hackery and our super savvy judging team will award a yet-to-be-decided prize to the best project. If you don’t want to compete and just want to hack on other projects that’s cool too. The rest of Farset’s Facilities will be still open to experimentation and fiddling as usual. If Galileo Galilei was still floating around he’d have been 450 in April. There’s a limited number of spaces available so all attendees must preregister on Eventbrite, the sooner you register the sooner you can save a seat and start forming your A-Team. 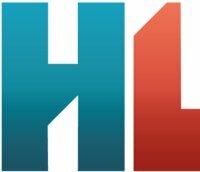 Intel have launched an instance on their recently acquired hacker league platform for us, sign up here. In order to take part in the Galileo competition you must set up or join a project team on HackerLeague with “Galileo” in the name. Even if you have no idea what you’re going to do with it yet, we need to control the number of Galileo teams somehow and prizes may be awarded for the best name! We’re particularly excited about this one, the space has been going through a lot of changes (ahem upgrades) and it’ll be great to get back to what we do best; hacking around with a bunch of great kit to play with.